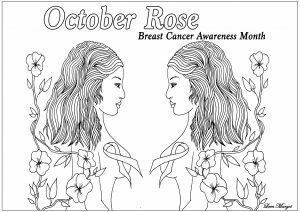 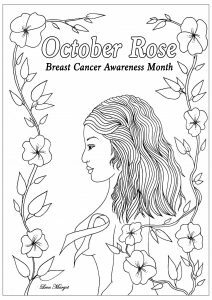 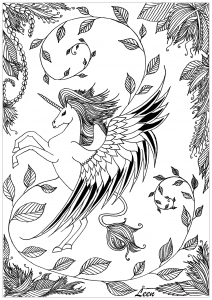 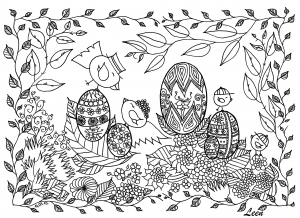 Leen Margot is a french artist who provided us incredible coloring pages, since of the beginning of the website. 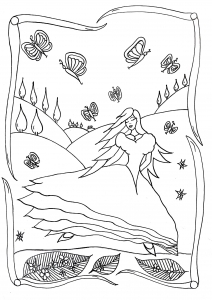 Portraits, nature, animals, abstract drawings… her mesmerizing and elegant universe will bring you peace and serenity. 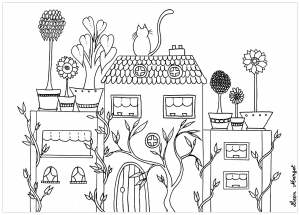 Felt-tips or pencils, tea or coffee, guaranteed relaxation with her incredible drawings ! 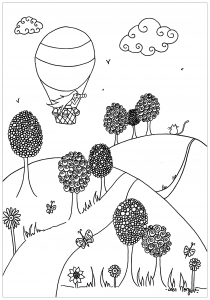 Leen Margot has published several books with Global Doodle Gems, and others by herself (available on A little market). 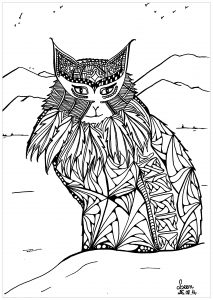 You can follow her on her Facebook page. 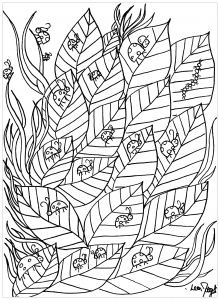 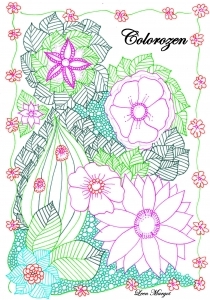 Coloring page of the cover of the Leen Margot's book "Feathers and Dreams"
Flowers patterns, many colors, inspiration and talent. 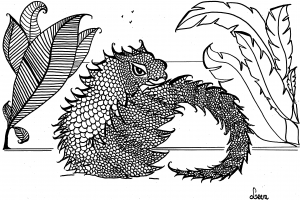 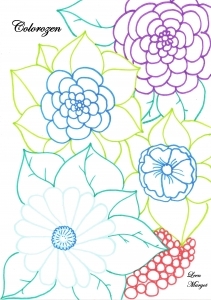 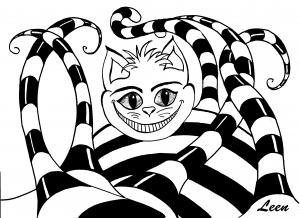 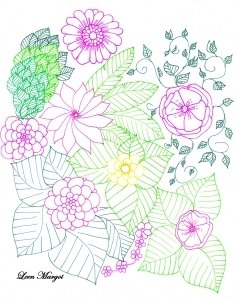 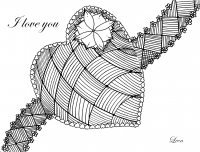 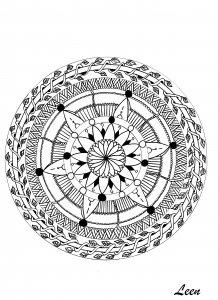 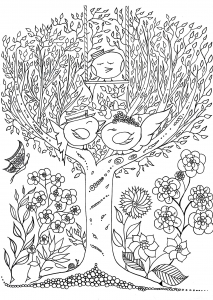 Made by Leen Margot, this coloring page will give you a good time !